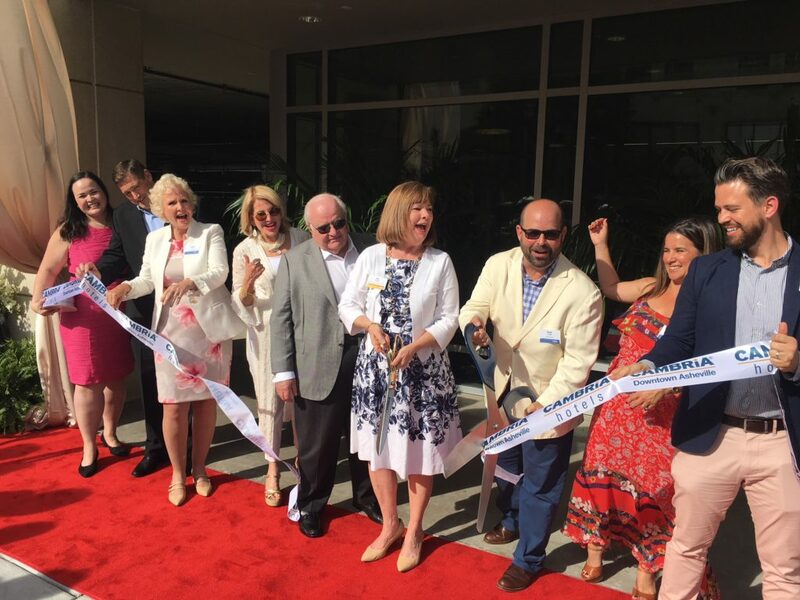 Kit Cramer, president and CEO of the Asheville Area Chamber of Commerce, clips the ribbon on the new Cambria Downtown Asheville Hotel as hotel officials look on. The hotel developer, Tony Fraga, at Cramer’s right, says the hotel service and amenities are top-notch offerings in a downtown bursting with new hotels. 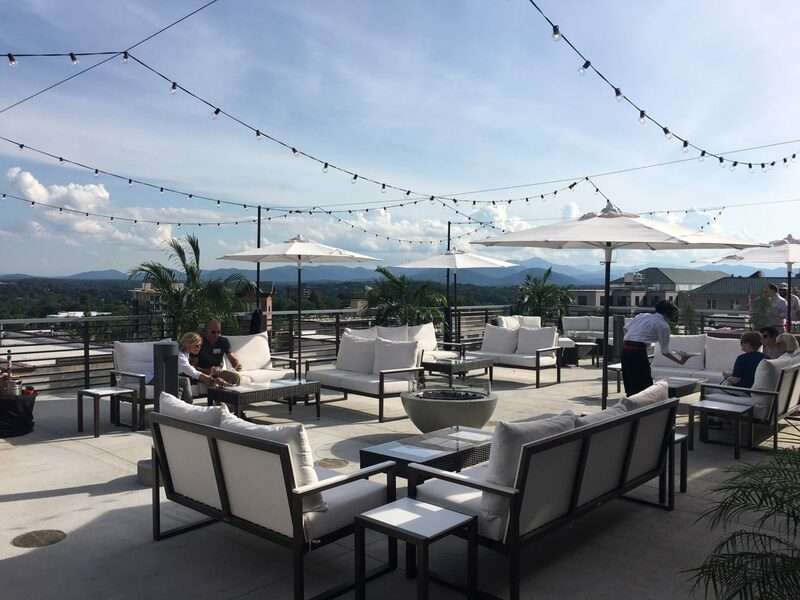 The owners of the new Cambria Hotel Downtown Asheville recently threw one heckuva grand opening party to mark the 15 Page Avenue hotel’s opening. For developer Antonio O. “Tony” Fraga, Sr., president and founder of FIRC Group and his team, the event was a family affair and he made it clear that the hotel would be a legacy he was proud to pass on. 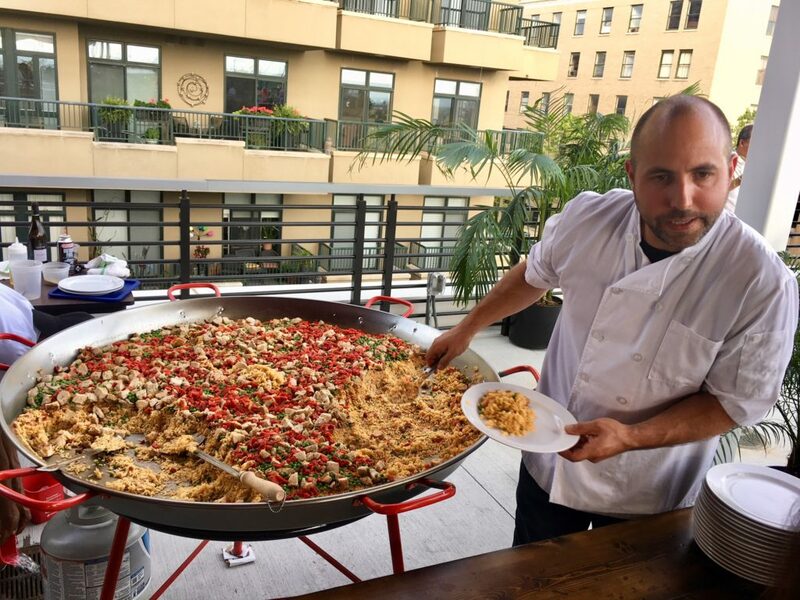 “The experience each guest receives when they stay with us truly represents genuine, heart-felt hospitality offered by a family-owned business,” Fraga said in a written statement after the event. “We want every guest to feel like they’re receiving something more than the standard hotel stay. 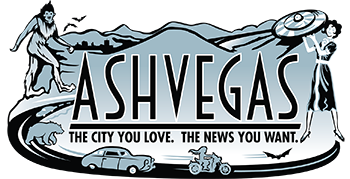 They are experiencing our unmatched Fraga family hospitality and we are proud to be a part of their memories of Asheville,” Fraga said in the statement. The free-flowing wine, tasty appetizers, snappy salsa music and sit-down dinner attracted dozens of local politicians, business owners and assorted movers and shakers. Asheville buskers, including Abby the Spoon Lady, provided entertainment on the ground level, while a group of musicians played salsa music on the fourth-floor rooftop terrace that extends off of Hemingway’s Cuba. That’s the 136-room hotel’s Cuban restaurant offering beautiful views of the mountains to the west of downtown. The hotel features several Cambria hallmarks, according to a news release, including spa-style bathrooms with Bluetooth mirrors; plush bedding; a state-of-the-art fitness center; and 3,400 square feet of multi-function work spaces. At the grand opening, hotel officials touted Cambria Downtown Asheville’s number two ranking on TripAdvisor’s list of best Asheville hotels. The Cambria Downtown Asheville Hotel’s fourth-floor terrace off the Hemingway’s Cuba restaurant. It was an impressive event for Fraga, who has Cuban roots but been invested in downtown Asheville for decades as the owner of Haywood Park Hotel, as well as other projects. The Cuban influence is clearly on display at the restaurant, helmed by talented Chef Duane Fernandes. Aside from the delicious Cuban cuisine, the restaurant boasts the birth of a remarkable Cuban daquiri. Me an my family went to the hotel a couple weeks ago an had a great time setting outside on the rooftop with a beautiful view of downtown an the mountains!!!!! I give this hotel 5 stars not to mention the great hospitality so YES we will be coming back soon!!! !